Welcome to the Whats Up Brock shop. 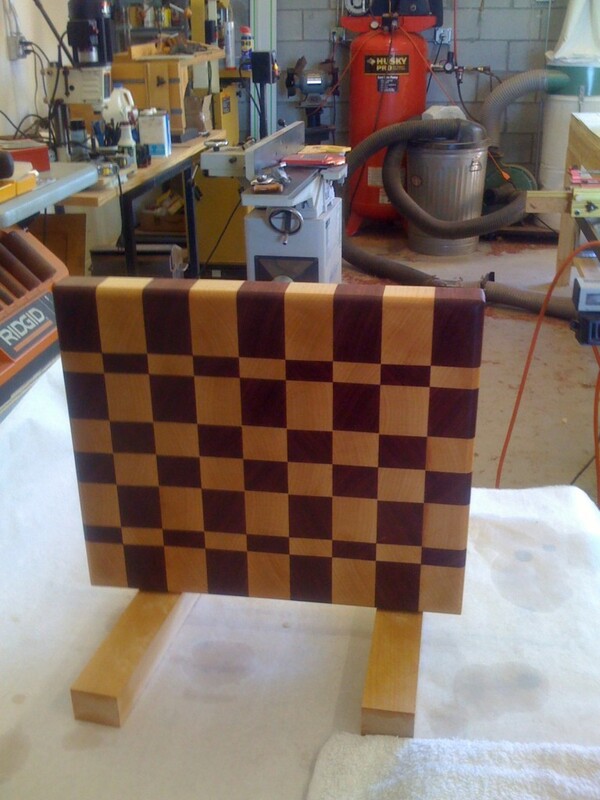 Here you can purchase an assortment of custom handmade end grain cutting boards. These cutting boards are made from a variety of exotic hard woods including Maple, Purpleheart, Walnut, Jatoba and others. These cutting boards are considered a functional piece of kitchen art. I guarantee these cutting boards for life and you’ll be proud to show these off. When you buy one of these cutting boards you will receive a small instruction sheet on its care and cleaning. I also sign my name to the back of each cutting board I make. I stand behind each board and if you’re not pleased I offer a complete refund within thirty (30) days minus any shipping charges. With each purchase of one of my custom made cutting boards, I donate 10% of the net sales to charitable causes such as wounded veterans groups and no kill animal shelters. You will be notified via email with the completion of each order the donation made in your name to these organizations. Purchase these cutting boards securely through PayPal with the buy it now buttons shown. If you choose not to use Paypal, please feel free to email me through the “Contact Me” menu above and I will be happy to arrange payments via check and money order with you. Cutting boards are approximately 12″X18″X1-3/4″ in size. Shipping is a flat rate of $12.50 anywhere in the world. 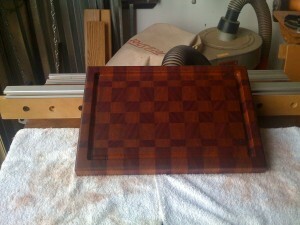 Each cutting board is made to order and delivery takes 3-4 weeks but usually ship much sooner. If you don’t see something you like feel free to contact me for custom sizes and colors. I can make anything in almost any color. Allen B. writes…..Thanks again Brock. It is nice addition to my kitchen and the quality and the craftsmanship is amazing. I have had it for a few years now and I love it!! So please order one of these amazing works of functional art and support some great causes!